Born and raised in Gibraltar, a British colony on the Spanish Mediterranean coast, life for Yitzhak Attias was an idyllic combination of pride in being Jewish and positive relations with the world at large. At age 16, Yitzhak's love for music drew him away from his studies, and eventually to an Israeli kibbutz. He followed his music to meet his wife Tamar, a flutist. Yitzhak, a percussionist and singer, writes and performs music that blends Latin, Flamenco and Mediterranean music, with an infusion of Jewish themes. He incorporates birdsong and the sound of the sea, bringing him back from the Dead Sea to Gibraltar of his childhood. He music is soothing, almost therapeutic; it speaks of spiritual yearning and it touches the soul. 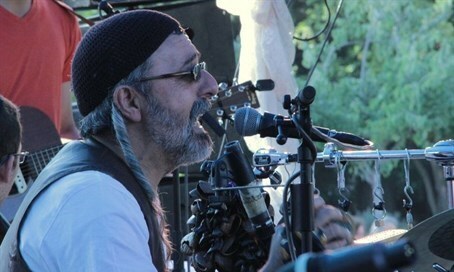 In addition to playing his own music, Yitzhak has played on numerous albums of other musicians. He and his wife Tamar run the Reshimu Musical Experience which gives their audience the chance to be a part of creating a musical wonderland. Tune in to meet this intuitive and spiritual musician who is in touch with the inner workings of the soul.